Today we have had a lovely day on the water. We started the day at Shell Bay, where we went power boating and played beach games. After a walk along the beach we went to Lakeview where we went canoeing and raft building. Lots of fun was had by all. Awake nice and early this morning. Yummy cooked breakfast to start our morning of adventure. First we went to the high and low ropes course. Everyone did amazingly well and really challenged themselves. Then we went off to Swanage by steam train for some fun at the beach and ice cream. Brenscombe 22nd May - 26th May 2017. Y6 will shortly be off on their residential to Brenscombe. Please ensure you have paid in full and have returned all medical forms and emergency contact details. White Rose Maths Hub have some fantastic resources for daily maths question practice. Facebook and twitter have a daily feed if you are on social media. We have arrived! Keep checking the children's work page for photos! Well done to all of the children for a tricky week. I am so proud of you all for taking each assessment I your stride and for giving 100%. Well done. 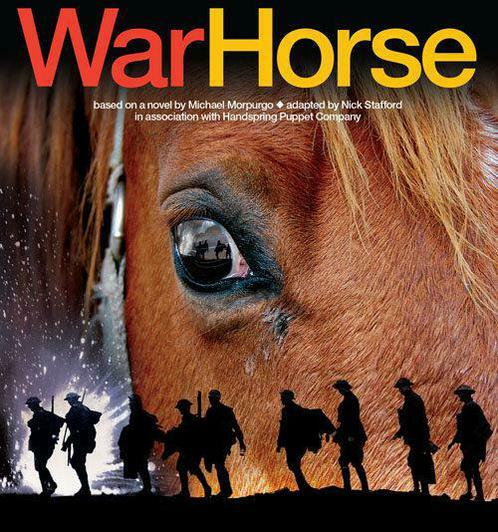 We have really enjoyed reading War Horse and the children have produced some fantastic reports on WW1. Well done Falcons. We have had a great week using intonation and tone to perform the Witches spell from Macbeth. The children also worked in groups to write their own, I have to say they were fantastic, very creative! Well done Falcons! The dates for Brenscombe are 23th - 27th May 2016. You should have all received a kit list. These are also available here. Let's hope the weather holds out! Please remember to send the children with a lunchbox and drinks bottle, which are not disposable. The children are having a great time away! They have enjoyed outdoor sports and water sports together. They are having a really good time and friendships are blooming while we are away. Very good behaviour all round! Year Six are enjoying a social and relaxing brain power boosting breakfast before working hard in their SATs. Everyone had fun joining in the breakfast preparations! For the first half of the Autumn term, our topic was based on the fiction text 'Journey to the river sea'. It was a fantastic story. We have had a great half term exploring journeys and coasts. We had some particularly amazing brochure writing. Well done everyone. An enjoyable day of meeting book characters and dressing up. 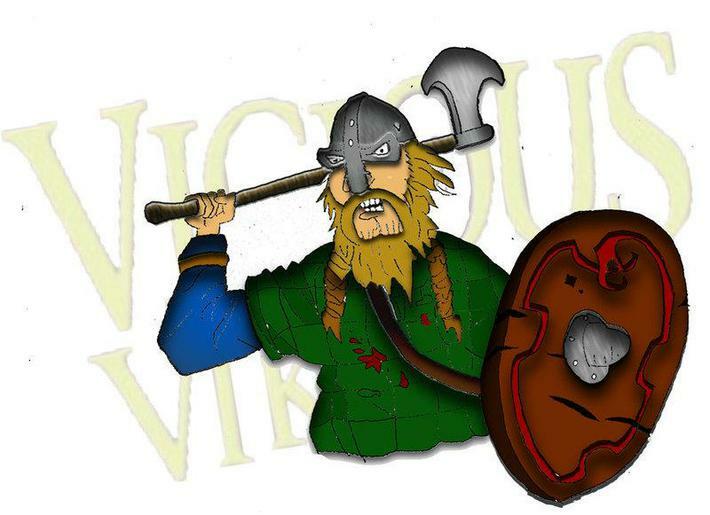 This term our main topic will be all about Viking Invasions into Britain and the battle for control with the Anglo Saxons Monarchs. We will look at the Human Body in Science and Healthy Me in Jigsaw, which focuses on healthy mind as well as a healthy body. We are investigating three dimension in art and focusing on Easter in RE. This term our main topic will Fair Trade. We will be discovering what fair trade is, what kind of products can be fair trade and where goods are produced. There will be opportunities for food tasting which will be enjoyed by all! We will look at living things in Science and Dreams and Goals in Jigsaw. Year Six revised work on the Gunpowder plot this week, discussing evidence available and motives of the plotters. We also talked about how to stay safe when around fireworks. To finish the day off we all made edible sparklers! This half term our main topic will be all about New York. We will looking at geographical landmarks and discovering what happens in the city that never sleeps. Year Six embraced the wear pink to raise awareness of breast cancer on Friday. Click on the pictures to see more images of the groovy accessorising! A fabulous way to end a busy half term where the children have worked very hard. 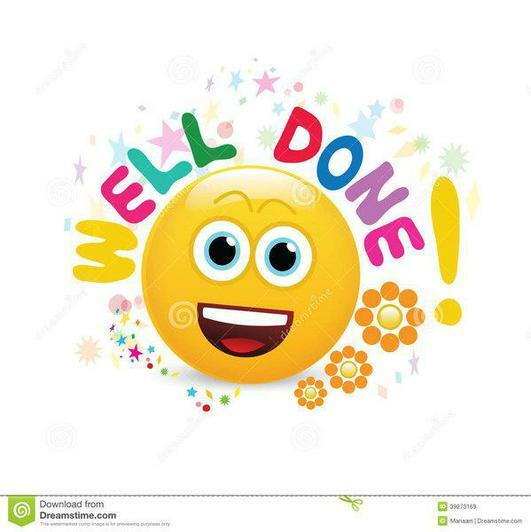 Well done Year Six enjoy your half term break. Think Pink - love the leg warmers! This term our topic is 'School in the Past'. 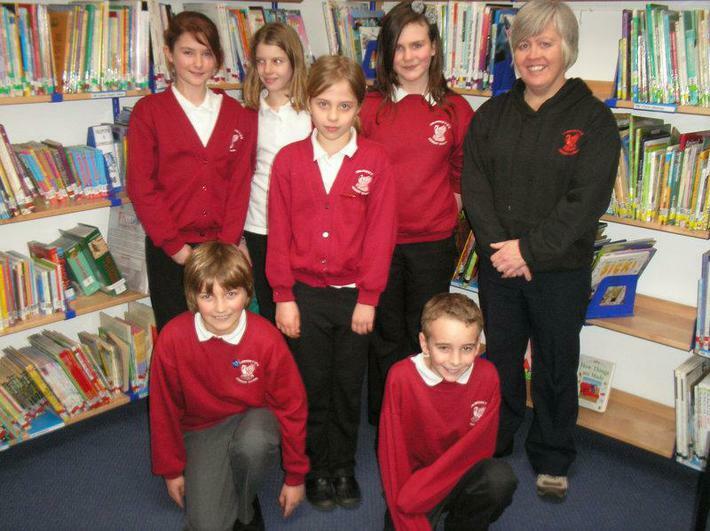 We will be discovering the history of Stalbridge Primary School and what is was like to go to school in different decades. We will look at adaptation and interdependence in Science. We will be working hard on SPaG and starting to revise for the SATs. 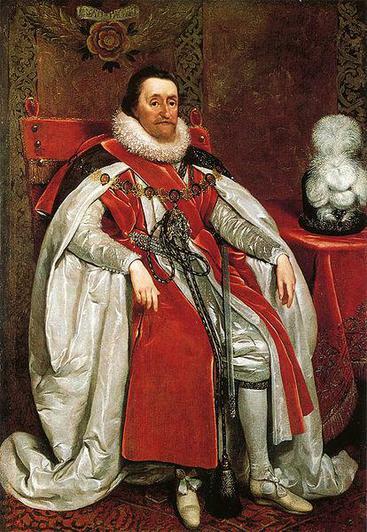 This term our main topic will be all about the first two Stuart Monarchs, James I and Charles I. We will be discovering what happened during their reigns and discovering the causes of the civil war. We will look at light in Science and Being Me in My World in Jigsaw. On Wednesday 3rd July our year 6 leavers were invited to Salisbury cathedral for the diocesan leaver's service. This was a wonderful day spent in beautiful surroundings. The children got to complete a number of craft and dance activities in the morning, lunch in the cathedral close and participate in the afternoon's special leaver's service. The sun shone and the children were a credit to Stalbridge Church of England Primary School. Well done Falcons class! 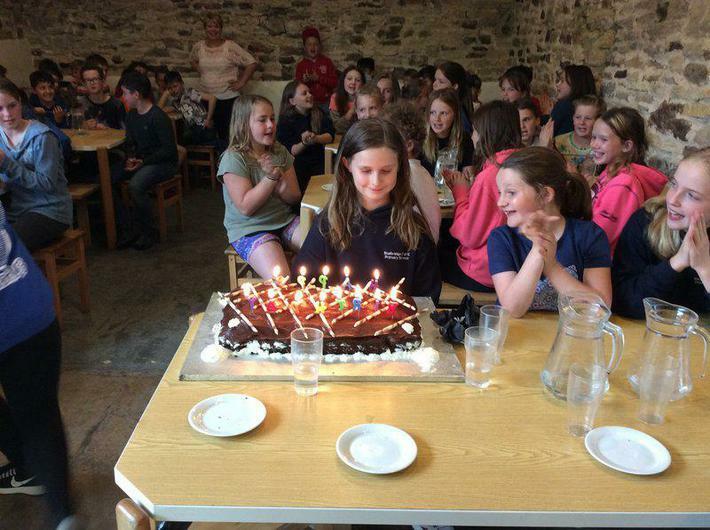 A selection of photographs taken at Brenscombe and Bristol trips. Falcons class would like to thank Rev William Ridding and Curate Colette for showing us around St. Mary's Church this month. As part of our local study topic the pupils were investigating the church interior and surrounding grounds to research Stalbridge families. The children had a fantastic time and particularly enjoyed the trip up the tower. The weather was interesting and we had fantastic views across Stalbridge and the surrounding areas. Well done to all of the children, not fond of heights, who conquered their fears. Bring on the Brenscombe abseiling! Falcons class had a wonderful time at Beaulieu as the photo gallery shows. The trip is set in the year 1889 and supports the class topic, 'A Victorian Christmas'. Palace House was beautifully decorated and Lord Montague and Lady Cecily were wonderful hosts. The pupils were commended on their outstanding behaviour and also their super afternoon performances in the Upper Drawing Room, where poems were recited and we had children playing flutes, clarinets and the House's grand piano. The day was completed perfectly by a ride back to our coach on the old Victorian bus. 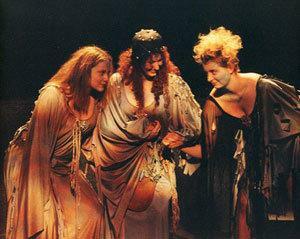 This year we have taken on the challenge of reproducing the Shakespeare production of Macbeth. The children have totally embraced the task and have work hard to remember lines and then act. We are very proud of everyone for their efforts and here are a few photos of the first rehearsal in costume. We look forward to seeing you on Thursday 19th 1.40pm (doors open 1.30pm) for our performance for parents / guardians / family and friends. As part of the whole school day out on Friday 15th June, Year 6 visited Charmouth in the morning and met up with the rest of the school in the afternoon. We had an interesting talk at Charmouth Heritage Centre and then the instructors took us along the beach to go fossil hunting. It was incredibly windy but beautifully sunny. The children found many variants on fossils and learnt a lot. After lunch we headed back to Weymouth sea front where we enjoyed playing games, building sandcastles and eating ice lollies. A fabulous day was had by all of us. Year 6 'Spy School' - Who stole the Olympic Torch!? Year 6 participated in the Sports Relief mile which started at Fudges, Stalbridge and then went in a loop. The children went along the trailway, up Jarvis way, along by the play area and then back along the trailway again. It was a great day. 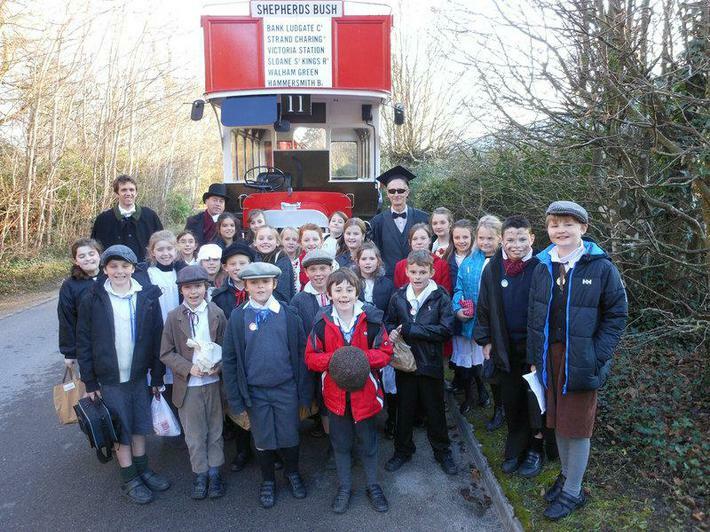 The Reception and Year 6 children linked up for World Book Day to share their favourite books. They showed and read them to each other and then created posters. A fantastic afternoon was had by all with some beautiful artwork completed by the end of the afternoon. As part of our Year 6 fundraising for Brenscombe this year a team entered the swimarathon at Sherborne School Sports Centre. The event was held by the Lions and went on for the whole day. The team completed 61 laps which was 122 lengths between the 6 of them. Well done for a fantastic effort and the sponsorship money they collected is split between the Lions and the Year 6 fundraising. As part of our RE studies and topic work on the Local History of Stalbrdige we were given the opportunity to sketch artifacts and important area of the St Marys Church, Stalbridge. The whole school hold a church service here fortnightly. The children were split up into groups and assigned areas to sketch in their RE books. The children have been using their ICT skills to produce power points on an aspect of Stalbridge. The topics being covered include the amenities, shops, history, World War 2, the Church and The Park. If you have any stories to tell we would be grateful to hear them. You can email the school office or write them down and drop them in. We would also love to use any old photographs of old Stalbridge - we can copy them so as not to use the originals. Each child will be delivering their personal powerpoint to the class at the end of this half term. On the last day of term the whole school proceeded to the village hall for a Christmas dinner. On the way we visited Dikes Supermarket for carol singing and then carried on to the hall. The PTA had prepared and then served a superb turkey dinner followed by ice cream. The Year 6 class walked down with their Reception buddy. Christmas card and decoration making. Year 6 were busy making our classroom look Christmasy. Year 6 have been busy fundraising for their residential trip next summer to Brenscombe. Watch this space for bingo and swimarathon for early 2012. On a bright sunny day we boarded our coach and made the journey down to Beaulieu in the New Forest. Read the recount written by Thomas Cairns and Bradley Little on the link below. 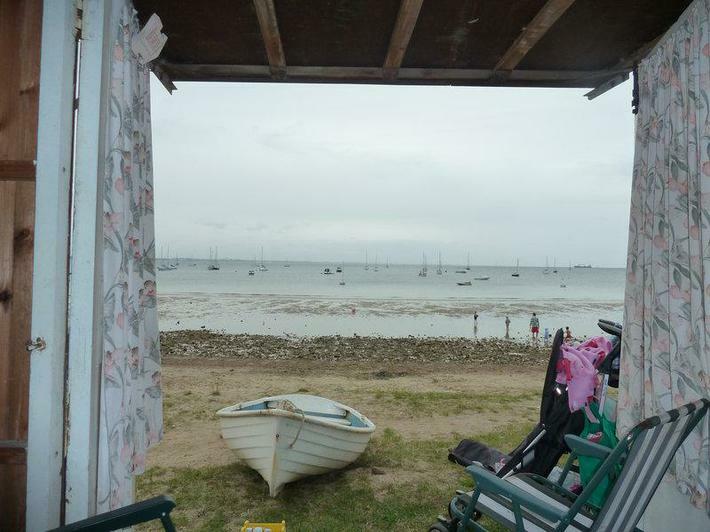 Brenscombe is an activity centre for all ages based near Studland. Monday 27th June we left School for 5 days of amazing and exhilerating activities. We rock climbed, absailed, rope climbed, orienteered, walked, rode on a steam train, played beach games, power boat ride (the favourite of most! ), kyacked to name a few. We had fabulous weather and thank you to all that looked after us so well. During Design and Technology the children have been created Record covers and records for fictious bands and singers. This week they have created one of the members of the band or their singer as a puppet. We have used newspaper and masking tape to make the person and then various materials to cloth them. 23 children from Year 6 were given the amazing opportunity to 'sail for a fiver' at Weymouth Outdoors Activity Centre. We were lucky with the weather with sun and windy out at sea. A great time was had by all including the adults! Now that SATs are over Year 6 are getting 'stuck in' to their Jurassic Coast project. The children worked in pairs to decide which part of the coastline they would recreate. Photos enabled them to draw a plan and then experiment with papier-mache. Powerpoint about Brenscombe will be posted 17th Nov.